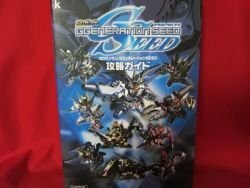 This is a Japanese Video Game ""SD Gundam G Generation Seed"" Strategy GuideBook. The strategy and data, etc. are very comprehensible. Even if the platform is different, the content might be almost the same. If you love this Video Game don't miss it!